In the case of Wyszynski v. Greenwood Gaming & Entertainment, Inc., 2017 Pa. Super. 108 (Pa. Super. April 17, 2017) (Op. by Ransom, J. ), the Pennsylvania Superior Court ruled that a trial court did not abuse its discretion of transferring a slip and fall case from Philadelphia County to Bucks County under the case presented. According to the Opinion, the Defendant’s registered office and principal place of business was in Bucks County and the cause of action occurred in Bucks County. 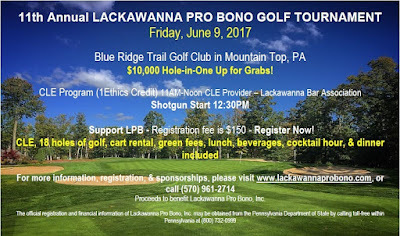 The Plaintiff attempted to file in Philadelphia under an argument that the amount of the Defendant’s advertising in Philadelphia supported venue in that county. The Superior Court rejected this argument and noted that the case law make clear that advertising was incidental to the purpose of a business and that, therefore, no matter how pervasive a business’ advertising was, such advertising would not satisfy the test for venue set forth in the case of Purcell v. Bryn Mawr Hospital, 579 A.2d 1282 (Pa. 1990). As such the Superior Court found that the trial court did not abuse its discretion in transferring the case to Bucks County. Source: “Digest of Recent Opinions.” Pennsylvania Law Weekly (May 2, 2017). In the Western Federal District Court case of Brogdon v. Correct Care Solutions, LLC et.al., No. 1:16-CV-12 (W.D. Pa. April 21, 2017 Rothstein, J. ), the court addressed a Plaintiff’s Motion for Partial Summary Judgment in a wrongful medical malpractice case against private prison healthcare providers involving a case a prisoner’s death allegedly from an undiagnosed case of appendicitis. In its decision, the court noted that the decedent was only seen by physician assistants and allegedly without any supervision by the supervising physicians. After a review of the matter, the court granted the Plaintiff’s Motion for Partial Summary Judgment on the issues of negligence per se for violations of the Medical Practice Act and regulations thereunder relating to the supervisions of physicians assistants. While the court granted summary judgment on the issues of a duty of care and a breach thereof, the issue of causation was left for the jury’s decision. 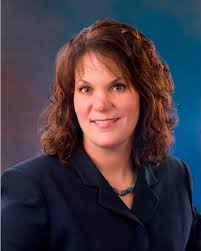 I send thanks to Attorney Allison S. Lapat, Esquire of the Philadelphia law firm of Stein & Silverman, P.C. for bringing this case to my attention. In the case of Graham v. K Investments, Ltd., No. 4376-2014 (C.P. Monroe Co. March 13, 2017 Zulick, J. ), Judge Arthur Zulick of the Monroe County Court of Common Pleas denied a restaurant’s Motion for Summary Judgment in a slip and fall case. However, the court did grant summary judgment in favor of a snow removal contractor. Relative to the claims against the landowner, the court noted that a snow storm had occurred nine (9) days prior to the Plaintiff’s accident. When the Defendant restaurant moved for summary judgment based upon the hills and ridges doctrine, the court accepted the Claimant’s argument that the doctrine was not applicable because generally slippery conditions did not prevail in the community at the time of the incident. Moreover, the Plaintiff asserted that this case involved a localized patch of ice. As such, the motion for summary judgment based upon the hills and ridges doctrine was denied. The court otherwise found no evidence of negligence against the snow removal contractor who was last on the premises nine days before the incident. In his recent decision in the medical malpractice case of Brink v. Mallik, No. 2013-CV-1314 (C.P. Lacka. Co. June 9, 2017 Nealon, J. ), Judge Terrence R. Nealon reviewed the current status of the law of settlements in his assessment of a Petition to Enforce a settlement. In the end, the court granted the Petition and found that an apparent unilateral mistake by one party as to the scope of the terms of the settlement did not support a denial of the Petition. When a Trial Management Order is issued read the Order in its entirety--Judges expect them to be followed to the letter. Immediately have all deadlines marked on your calendar. Also mark a tickler on your calendar at least 45 days before the start of trial to re-read the Trial Management Order and get started on all materials that have to be filed by certain deadlines such as Trial Briefs, Motions in Limine, Proposed Voir Dire Questions, Proposed Points for Charge, and the like. Take the time to draft an excellent Trial Brief that thoroughly advances your client's case and argues all anticipated legal issues in your client's favor. 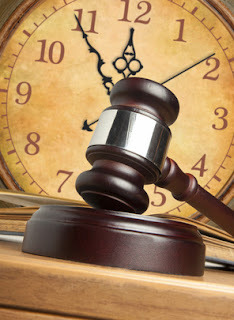 There may come times during trial where the Judge, bored with the tedium of trial, may pick up your Trial Brief to skim or read to pass the time, all to the potential benefit of your client's case. A recurring issue in civil litigation matters is the effect of a Bankruptcy Stay on the ability of a plaintiff to proceed on a personal injury action against a person in bankruptcy. In the United States Bankruptcy Court for the Middle District case of In Re: Betty L. Morris, No. 1-14-bk-03161 RNO (April 28, 2017), the court addressed a Claimant’s desire to move forward in a state court personal injury action to pursue only the extent of the available liability insurance coverage despite a bankruptcy stay. According to the Opinion, the Chapter 7 debtor received a bankruptcy in October of 2014. The case was reopened in February of 2017 to consider a motion filed by a personal injury Claimant who commenced a pre-bankruptcy state court action against the debtor. The state court action arose out of a motor vehicle accident against the debtor. The Claimant moved for a declaration from the bankruptcy court that her state court action, in which she wished to only pursue the extent of the available liability insurance coverage, is not stayed by the discharge injunction imposed by §524 of the bankruptcy code. After a review of the matter before it, the court concluded that the state court personal injury action was not stayed and could proceed. In his recent decision in the commercial motor vehicle accident case of Kane v. DG Express, No. 3:16-CV-216 (M.D.Pa. May 18, 2017 Conaboy, J. ), Judge Richard P. Conaboy denied the defendants’ Motion in Limine seeking to preclude Plaintiff’s punitive damages claim. The decision held that a Motion in Limine is an inappropriate vehicle for an effect -- the preclusion of a claim – that should have been the subject of a case dispositive motion, such as a motion to dismiss at the pleadings stage, or a motion for summary judgment after the conclusion of discovery. Judge Conaboy also denied the Defendants’ Motion in Limine which sought to preclude the testimony of Plaintiff’s liability expert witness. In so doing, the Court noted that it was persuaded that expert testimony regarding what level of competence and care a professional driver should exhibit, and what risks such a driver must necessarily anticipate, may assist the jury in determining whether the negligence already admitted by the Defendants rose to the level of reckless indifference that is necessary to support an award of punitive damages. I send thanks to the prevailing Plaintiff's Attorney Richard A. Russo of the Wilkes-Barre, PA law firm of Rosenn, Jenkins & Greenwald for bringing this case to my attention. In a "non-precedential" Memorandum decision in the case of Fernandez v. Erie Insurance Group, No. 1002 EDA 2016 (Pa. Super. 2017 Moulton, Ransom, Fitzgerald, J.J.)(mem. op. by Fitzgerald, J. ), the Pennsylvania Superior Court held that a UIM claim was not estopped by a previous arbitration award entered on the third party portion of the case. According to the Opinion, the tortfeasor Defendant had a liability policy with a $50,000.00 limit. The parties in the underlying third party matter proceeded to a binding arbitration at which the arbitrator found in favor of the Plaintiff for $87,000.00 and then molded the verdict down to the $50,000.00 liability limits. The Plaintiff later signed a Release and included a handwritten note indicating that she expressly reserved the right to pursue her UIM claims against the UIM carrier. Thereafter, the Plaintiff filed a breach of contract and bad faith claim against the UIM carrier. The UIM carrier responded with a summary judgment motion asserting that the arbitration award in the third party matter collaterally estopped the Plaintiff from pursuing UIM benefits. The UIM carrier also asked the court to grant the Plaintiff a total of $37,000.00 of UIM benefits, i.e., the difference between the arbitration finding and the molded award. After the trial court granted the UIM carrier’s Motion for Summary Judgment, the Plaintiff appealed. On appeal, the Superior Court agreed that, under collateral estoppel principles, the arbitration award was binding on the Plaintiff to the extent of the arbitrator’s jurisdiction. However, the court stated that it could not tell whether the parties in the third party case had imposed any limit on the arbitrator’s jurisdiction. Accordingly, the court found that the case should have been allowed to proceed to a jury to settle the jurisdictional ambiguity. As such, the Superior Court reversed the trial court’s ruling and remanded the case for further proceedings. Source: Article: “UIM Claim Not Estopped by Arbitration Award, Superior Court Rules,” By: Ben Seal of the Pennsylvania Law Weekly (May 2, 2017). To view other Tort Talk posts on the collateral estoppel issue, click HERE. In the case of Luisi v. Siletti, No. 3862 of 2015 (C.P. Monroe Co. March 10, 2017 Sibum, J. ), the court granted a Motion for Judgment on the Pleadings under an argument that the statute of limitations barred the Plaintiff negligence case of action due to a lack of timely service. In this case, the court found that a delay of at least eight (8) months to effectuate service did not demonstrate good faith on the part of the Plaintiff to complete service. The court also rejected the Plaintiff’s argument that actual notice was provided to the Defendant because both the Defendant and the Defendant’s insurance company had received a copy of the Complaint in the mail. The Plaintiff also asserted that no prejudice was suffered by the Defendant in the delay. According to the Opinion, the Defendant and his carrier both denied receiving a copy of the Complaint in the mail. Judge Sibum indicated that, even if such mailings did occur, they were not a valid substitute for actual service under the rules in any event. In the case of Reidi v. GEICO, No. 16-6139 (E.D. Pa. April 11, 2017 Stengel, J. ), the Eastern District Federal Court addressed a Motion to Dismiss filed by the Defendant carrier in a post-Koken UIM matter involving claims for breach of contract, bad faith, and other claims. After a review of the record before it, the court granted the carrier’s Motion to Dismiss the Plaintiff’s claims for bad faith after finding that the Complaint set forth only conclusory allegations regarding bad faith. The court noted that the legal recitations contained in the Plaintiff’s Complaint were not factual and, therefore, not entitled to the assumption of truth. The court otherwise indicated that there were no facts pled showing how GEICO lacked a reasonable basis for its decision not to pay UIM benefits or otherwise detailing the actions that GEICO or the Plaintiff took in pursuit of the claim. Nor were there any facts alleged that specifically described what was unfair about GEICO’s denial in refusing to pay the benefits. Accordingly, the court found that the Plaintiff’s Complaint failed to state a plausible claim for bad faith. The court also granted GEICO’s Motion to Dismiss the Plaintiff’s breach of contract claim and negligence claim based upon GEICO’s failure to procure an insurance policy for them. In this matter, the Plaintiff got into a car accident the same day the vehicle was purchased. Plaintiffs alleged that they made a telephone call to GEICO the day before they purchased the vehicle to ensure that the car that they were about to purchase would be covered. The court noted that the Plaintiffs conceded that they did not actual purchase the car until after they called GEICO. The court noted that Pennsylvania law recognizes claims for failure to procure insurance and limited circumstances which were not found to be implicated in this matter as the Plaintiffs failed to allege any affirmative representations to procure insurance made by GEICO. Rather, the records before the court indicated that the Plaintiff alleged that a GEICO representative told the Plaintiff their insurance “would be stored electronically and that the Plaintiffs should contact GEICO once they actually purchase a vehicle and obtain a VIN number.” Under such circumstances, the court stated that it cannot be said that GEICO assumed any duty to provide coverage to the Plaintiffs. Anyone wishing to read this decision online can click HERE. In his recent decision in the case of Sayles v. Allstate Ins. Co., No. 3:16-cv-01534 (M.D. Pa. May 10, 2017 Caputo, J. ), Judge A. Richard Caputo dismissed a claim for bad faith in a case where the insured claimed that the requirements to undergo an IME, along with a refusal by the carrier to pay first party medical benefits before the IME took place, were violations of the bad faith statute. In this matter, the insurance policy required the insured to submit to an independent medical examination after making a bodily injury claim for medical benefits arising out of auto accident. The policy stated that the carrier did not have to make payments prior to that examination. Judge Caputo noted that a federal judge in the Eastern District Federal Court had ruled in 2009 that these kinds of policy terms were enforceable and not inconsistent with the Motor Vehicle Financial Responsibility Law, relying upon case law from the Pennsylvania Superior Court. However, a judge in the Middle District Court came to a different conclusion in 2017, finding the provisions to be unenforceable. The court rejected the Plaintiff’s claims of bad faith after finding that the carrier had a reasonable basis for denying medical benefits where the Pennsylvania Supreme Court had not decided the issue and where another federal court had found that the policy language was enforceable. Judge Caputo found that it was reasonable for the carrier to have relied upon the earlier opinion where the status of the law was in a state of flux. I send thanks to Attorney Lee Applebaum of the Philadelphia law firm of Fineman Krekstein & Harris and the writer of the Pennsylvania and New Jersey Insurance Bad Faith Case Law blog. In his recent decision in the case of Brown v. Russaw, No. 8953-CIVIL-2014 (C.P. Monroe Co. May 10, 2017 Williamson, J. ), Judge David J. Williamson of the Monroe County Court of Common Pleas granted summary judgment in favor of a homeowner’s association in a motor vehicle accident case involving a missing stop sign. According to the Opinion, the Plaintiff alleged personal injuries as a result of a motor vehicle accident that occurred when she was struck by another vehicle which had entered into the intersection from a roadway at which a stop sign was missing. While the court agreed that issues of fact prevented the entry of summary judgment on this issue of whether the Defendant Property Owner’s Association had actual or constructive notice of the missing stop sign, the court still granted summary judgment after finding that the Defendant homeowner’s association had no duty to maintain or replace the stop sign. In his Opinion, Judge Williamson noted that the duties of a private community association with regards to stop signs did not appear to be addressed under Pennsylvania case law. The Defendant association pointed to analogous cases involving municipalities which indicated that there was no duty upon a municipality to erect, maintain, or replace a missing stop sign at an intersection. Although the court acknowledged that the Defendant community association was not a municipality, the court felt that the municipality cases were indeed analogous and noted that, if a municipality as no obligation to erect, maintain, or repair stop signs, then, for the same reasons, the court found that a private road owner should likewise not have that obligation. The court also noted that, there were no facts set forth under which the Plaintiff could recover against the homeowner's association in any event under the law pertaining to a lack of a stop sign as it appeared that the tortfeasor Defendant driver allegedly failed to follow the rules of the right-of-way at the intersection. As stated, the court granted summary judgment in favor of the property owner’s association. 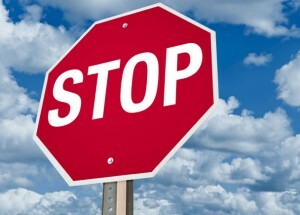 To view a Tort Talk post on another missing stop sign case, click HERE. In the Eastern District Federal Court case of Malantonio v. Boyle, 2017 WL 633997 (E.D.Pa. 2017 Hart, M.J.), a federal magistrate judge denied a defendant's motion in limine to preclude the mention of a traffic citation arising out of a motor vehicle accident. While the court agreed with the defense that such evidence would be inadmissible in a state court action, the federal court found that, under the Federal Rules of Evidence, the citation was admissible. See 42 Pa.C.S.A. Section 6142(a). In this regard, the court more specifically found that the traffic citation would not be excluded as hearsay evidence and that the probative value of the evidence outweighed any prejudicial effect. The court also noted that the defendant would have an opportunity at trial to testify regarding the circumstances surrounding his guilty plea to the citation as well as to explain his actions that led to him being given a traffic citation in the first place. 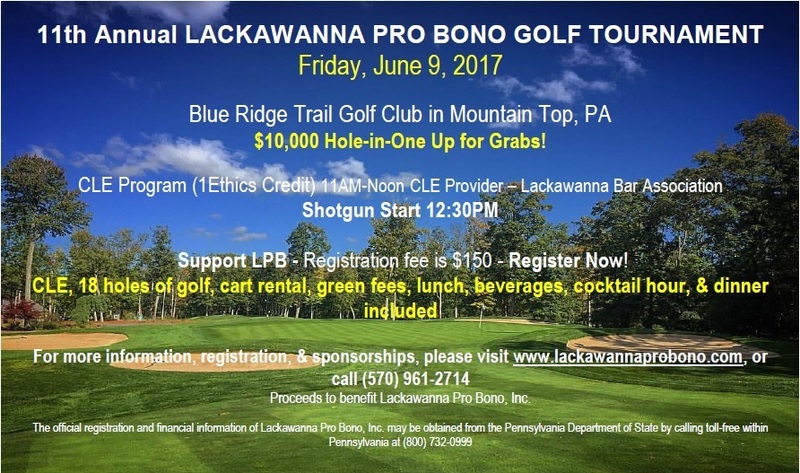 Source: Course Materials from 2017 PAAJ Auto Law Update CLE. In the case of Koerner v. GEICO, No. 17-455 (M.D. Pa. May 18, 2017 Conaboy, J. ), the court refused to remand a post-Koken UIM/bad faith litigation to state court. In part, the court found that the diversity minimum dollar amount was met because the Complaint sought punitive damages for bad faith which the court found, in theory, makes the amount controversy in excess of $75,000.00. The court therefore found that federal court jurisdiction was proper regardless of the amount of uninsured motorist coverage available under the policy. I send thanks to Attorney Lee Applebaum of the Philadelphia law firm of Fineman, Krekstein & Harris, and the writer of the Pennsylvania and New Jersey Insurance Bad Faith Case Law blog, for bringing this case to my attention. In a recent detailed Order issued by Judge Kimberly J. McFadden of the Northampton County Court of Common Pleas in the case of Figueroa v. Ferraira, No. C-48-CV-2017-833 (C.P. Northampton Co. June 8, 2017 McFadden, J. ), the court allowed a claim punitive damages to proceed beyond the Preliminary Objections stage in a case where the Plaintiff alleged that the Defendant rear ended the Plaintiff's vehicle at a red light while the Defendant was traveling at an excessive rate of speed and while texting. I send thanks to Attorney Ed Shaughnessy of the Law Offices of Edward P. Shaughnessy in Easton, PA for bringing this case to my attention. In the case of Coleman v. TonyHaas et.al., No. 12529 of 2016 (C.P. Luz. Co. April 28, 2017 Polachek-Gartley, J. ), the court sustained the Defendants’ Preliminary Objections to the Plaintiff’s claims for punitive damages in a trucking accident case. The accident was alleged to have occurred when a tractor trailer moved from the right lane into the left lane and struck the Plaintiff’s vehicle. Reviewing the allegations of the Plaintiff’s Complaint, the court found that, at most, the Plaintiff’s allegations gave rise to a claim for negligence and did not support the claims for punitive damages. Anyone wishing to read this Opinion online may click HERE. I send thanks to Attorney John A. Statler of the Lemoyne, Pennsylvania office of Johnson, Duffie, Stewart & Weidner for bringing this case to my attention. In his recent decision in the case of Gesford v. Gerrity's Market, No. 2016 - Civil - 2204 (C.P. Lacka. Co. June 2, 2017 Nealon, J. ), Judge Terrence R. Nealon addressed the rare issue of the propriety of a Praecipe for the Issuance of a Writ of Summons. In this case, the Praecipe for the Issuance of a Writ of Summons was filed on the final day before the statute of limitations was set to expire. At issue was the fact that the Praecipe was signed and filed by a daughter of an incapacitated Plaintiff. According to the Opinion, the Plaintiff had not yet obtained any Plaintiff's counsel. The case then proceeded through pleadings and discovery before the defense advanced the issue of the propriety of the Praecipe by way of a summary judgment motion. The defense asserted that the statute of limitations had not been tolled by the allegedly improper Praecipe. Relying in part on Pa.R.C.P. 126, which allows for a liberal construction of the Rules of Civil Procedure, Judge Nealon noted that although the Rules contemplate the Praecipe being signed by a plaintiff or plaintiff's counsel, the Plaintiff here made a good faith effort to commence her action and provided prompt service of the suit upon the Defendants. The court also noted that there was no prejudice shown by the defense as a result of the "technical misstep" by the Plaintiff. As such, the defense motion for summary judgment was denied. In his recent decision in the case of Newhook v. Erie Insurance Exchange, No. 10711 CIVIL 2014 (C.P. Monroe Co. May 11, 2017 Williamson, J. ), Judge David J. Williamson of the Monroe County Court of Common Pleas ruled that an insured was entitled to stacked uninsured/underinsured motorist benefits where a new waiver of stacking was not secured by the carrier when the insured added his most recent vehicles to the policy. According to the Opinion, the insured did not select stacked coverage when he added his most recent vehicles to his policy, but also did not officially waive such coverage. The court found that the fourth vehicle that the insured had added to his policy was not a replacement of a vehicle for which stacking had been previously declined. As such, the court found that the carrier should have secured a written waiver of stacked coverage. In the case of Gallagher v. Longfoot and Erie Insurance Exchange, No. 2015-CV-3169 (C.P. Luz. Co. May 1, 2017 Burke, J. ), Judge Thomas F. Burke, Jr., of the Luzerne County Court of Common Pleas denied a UIM carrier Defendant’s Motion to Bifurcate a post-Koken case for trial by Order only. Anyone wishing to review this Court Order by Judge Burke in Gallagher may click this LINK. There will be times when you need a continuance. Therefore, requests for continuances should be granted without hesitation wherever possible by fellow attorneys as well as the bench particularly where there is no prejudice to the parties involved. 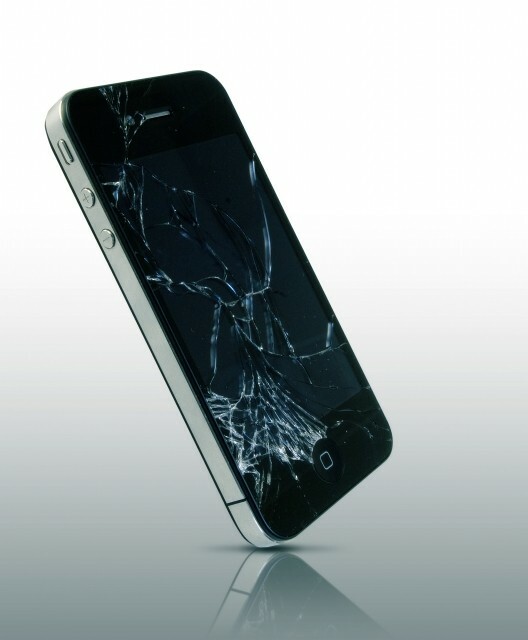 Try to return all phone calls within 24 hours wherever possible. If you don't want to talk to the person who called, at least send an email response back to their voicemail. Avoid discovery fights. Discovery that an opposing party is clearly entitled to under the Rules should be produced in a timely fashion and without the necessity of unnecessary motions practice. Spreading praise always promotes professionalism among attorneys. If an opposing counsel makes a good presentation in court or submits an excellent brief let them know that while you disagree with the position stated, you were impressed nevertheless by the presentation. If you hear of a colleague or client who has won a case or earned an award of some sort, drop them a note, email, or text of congratulations.